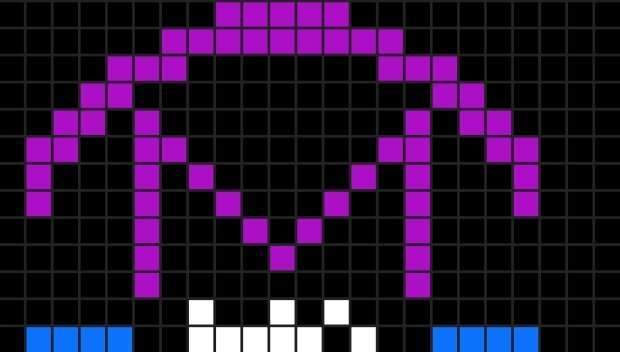 On November 16, 1974, SETI researchers at the Arecibo radio telescope in Arecibo, Puerto Rico, beamed a message into space. They fired it toward Messier 13, a globular star cluster in the Hercules constellation, which rests 25,000 light years away. The message, composed by Dr. Frank Drake, Carl Sagan, and other scientists, was conveyed using frequency modulated radio waves, converting it into a three minute binary transmission consisting of roughly 210 bytes. You can view the actual binary of the image (that is, the 1s and 0s that make it up), right here (archive added, as the original link no longer exists). 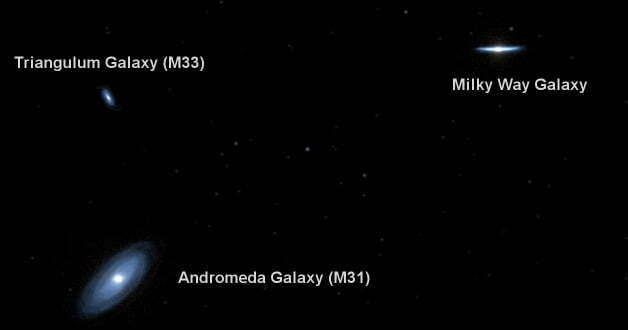 Of course, Messier 13 being 25,000 light years away, we’ll likely never get a response. But perhaps that wasn’t the original intention of the Arecibo message. Instead, we just wanted to demonstrate that, hey, we can shoot encrypted messages into space! On November 16, 2018, Google celebrated the 44th anniversary of the Arecibo Message with a special Google doodle, drawn and animated in the fashion of the original message. The doodle appeared mostly to European countries and Australia. One of the early concept drawings of the Google doodle show aliens gathered around a television set as they view the message sent by Earth, while another shows the message being delivered to an alien king on his thrown. This is appropriate, as many have wondered what an alien response to the Arecibo message would look like. What if we did receive a response? Some claim we already have. Two mysterious crop circles popped up on August 21, 2001 near the Chilbolton Observatory in Hampshire, UK. One resembled a human face, but the other has since been dubbed the “Arecibo answer,” as it contains a format nearly identical to the original 1974 transmission, albeit with a few changes. The response, when decoded, left us with several differences: silicon in the elements of DNA, a different DNA double helix shape, the figure of what we would consider an alien (probably of the grey variety), different height and population values, and a scribbly representation of the “alien” means of transmission. Most interestingly, however, is another message encoded within a crop circle (known as the Crabwood formation) that appeared in 2002, also in Hampshire, UK. Keep in mind that I don’t personally buy into crop circles, but I do find these messages nonetheless intriguing. This particular crop circle contains the image of an extraterrestrial (or what popular culture envisions them to be), along with a circle, or disc, containing yet another binary message. Much has been made of this message. A warning? A portent of things to come? Also note the odd capitalization. Is there a message within the message? Naturally, none of this seems plausible, and I don’t personally buy into crop circles. I do, however, find these messages intriguing. If extraterrestrial intelligence had the capability to not only respond to our message, but to do so by actually visiting Earth and landing a craft in a field, you’d assume they’d just go ahead and reveal themselves. A crop circle — I’m not so sure that’s the most practical means of communication. First off, I’d like to say that Im surprised that you are a crop circle skeptic, of all people, with your obvious fringe interests. I’d urge you to do a bit more research into the complexity of the way the grass is laid in the circles. It’s not simply flattened grass. Many of the circles have extremely complexly woven stalks that are un-broken and still growing. Many farmers say that it appears that the wheat (or what have you) grew that way its whole life. Also the magnetic and energetic fields around and in crop circles are worth studying. One movie that is super informative, although it does have parts that are WAY to out there for me to believe, is Star Dreams. It has some very interesting facts in it that indicate that the majority of crop circles are not man made. Also in regards to your comments on it seeming implausible that an alien species would be broadcasting these signals onto our wheat fields. Well, my counter argument would be that perhaps they know of a way to send information through space at a much more rapid pace than radio waves, which as we know are slow as hell, and that they are using that to send the messages. 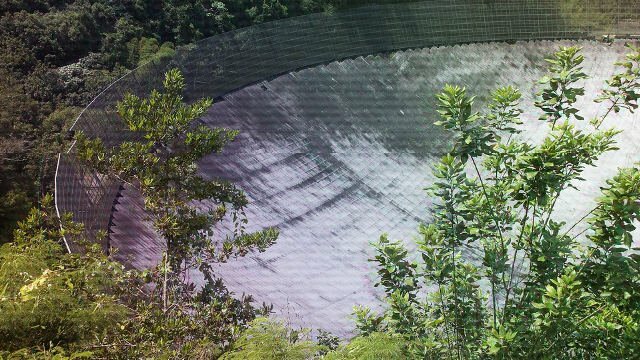 Being as we dont have any beam/wave/particle technology that can transmit information rapidly over large spaces, and would be unable to receive it due to lack of equipment, it would make the most logical sense to beam it down unto a highly trafficked area in which it would be impossible to miss, like food crops directly next to a SETI dish. They may not be able to travel here so easily or as quick as they can send messages, maybe they are on there way. Who knows, but I do think that this entire case should be looked at through a more serious lens by the world before it gets simply brushed aside as some pranksters playing a hoax. In my opinion, crop circles, and the messages in this particular series of events, are WAY to complex to be some pranksters. I honestly haven’t looked into crop circles that much, which I guess is why I said I don’t “buy into” them. I’m not familiar with a lot of the information out there. I do remember hearing about the electromagnetism and other strange anomalies that pop up around crop circles…I don’t know; maybe I should look into it a bit more. The idea that crop circles are actually messages being “sent” and not the result of landed crafts is something I’ve never heard before, either, and that’s a pretty compelling possibility. Thanks for your comment. I’ll check out that movie and do some more research. Considering the fact that Pluto is a non-planet and never should have been considered one, I doubt that a representation of the Solar System shot down to us from a distant civilization would have included it. They certainly would be just as aware of the other planetoids or such, whatever they are being called this week, and the fact that Pluto (or at least a ninth “planet,” whatever body in our solar system it was supposed to be representing) was included is pretty specious. The hoaxers were too smart for their own good in this case, as they could not have known at the time that Pluto was just one of many of these dwarfos out in our solar system. Had it been alien in origin it would certainly have included at least 10 satellites of the Sun, that is not only Pluto but also Eris, or perhaps not only Eris but also Pluto. In any event, “they” would certainly have included both. The whole thing is very obviously culturally-bound to humans and was created by same. Busted. Natch, and you’re welcome. In the terms of Pluto. When we first sent the message out Pluto was still classed as a planet and there for would be added into our message. In the message we got sent back, why would the greys put Pluto in to their solar system. They show us they inhabit the 3rd 4th and 5th planet of thier solar system, where do they even mentiation Pluto? Pluto is still a planet. It is now a new junior classification, a “Dwarf Planet”. It is, it is a kuiper belt object that is a dwarf planet. Seccondly, the response does not illustrate OUR solar system, it illustrates THEIRS to include inhabited planets with one being marked as the origin of their civilization. This formation and many others are in fact ET in origin, undeniable. Give this subject half the support any other scientific subject receives and we will all come to know the fact that we are not alone and they are in the vast majority peaceful and waiting for us to be able to join their community. the response does not illustrate OUR solar system, it illustrates THEIRS to include inhabited planets with one being marked as the origin of their civilization. This formation and many others are in fact ET in origin, undeniable. Give this subject half the support any other scientific subject receives and we will all come to know the fact that we are not alone and they are in the vast majority peaceful and waiting for us to be able to join their community. they chose crop circles because they know we see them and everyone has equal opportunity to see them, they cannot be covered up or faked, if you look at TRUE crop circles and how they’re made, the stalks break because of a strong EM pulse used to make them…they arent made by men, they choose crop circles because it only takes seconds for them to leave a message etc..and they dont just whip up the curtain and reveal themselves because they dont want to panic us as a whole, they dont want us to freak out and declare war or think they are hostile, they are peaceful i truly believe this, they are leaving messages over a long period of time so that we will come to accept the amazing gravity of the situation slowly and not lose our heads, we need to be awakened slowly, we are scared of what we fear…amd fear what we do not understand…this is our way but not theres..they know us so so well because they were here first long before and know what humans will do when they think they’re threatened…we used to work with them and learn from the but it has been so long, so long out of touch that we dont know the anymore and they must re-introduce themselves slowly….i believe. I feel like a certain amount of scepticism is necessary when looking into any UFO/crop circle dealings. But really, who would fake this? who would go to such detail? In my mind, that “if they could just make crop circles, why don’t the reveal themselves?” argument is easily debunked by that star trek logic of not intervening with cultures that are not yet ready. We wouldn’t go and give a tribe of Amazonians hand grenades.